From climbing bridges to trekking through alpine wilderness, New Zealand’s North Island is home to many exciting activities, which are often overlooked by travellers in favour of the South Island’s outdoor adventures. Here are five adventure activities you must try up north. New Zealand’s only bridge climb is based in Auckland. Your tour guide leads you up the bridge, highlighting some of the bridge’s architectural features. The one and a half hour tour also allows you to spot the city’s iconic landmarks before you reach the summit, where incredible 360 degree views await. 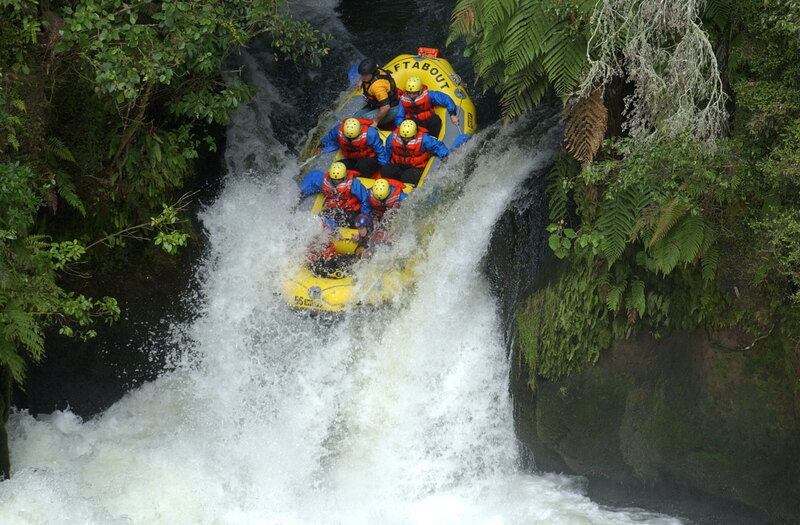 White water rafting at its best awaits on the Kaituna River. You’ll be bumped around as your guide takes you across the river at high speed and launches over waterfalls, which are several metres high. This thrilling but safe activity keeps you on the edge of your toes but is also loads of fun. Tongariro is New Zealand’s oldest national park, which is famous for its dramatic scenery. It’s volcanic peaks and the amazing views make the Tongariro Alpine Crossing one of the world’s best one-day treks. The 19km journey is steep in some parts, but the scenic views are rewarding. Exploring the underground Waitomo caves is like entering another world. Waitomo Adventures’ Lost World 7 Hour Epic tour takes you river caving, swimming, climbing and also abseiling through the caves. Other tours take you to see beautiful glowworms, or you can even go black water rafting in the caves. More than 20km off New Zealand’s Tutukaka Coast you’ll find the Poor Knights Islands. The islands are 11 million years old with volcanic origins, treating travellers to spectacular arches, tunnels and drop offs. There are impressive underwater caves and unique, tropical fish that have made the rocky reefs below the surface their home. Every country has different driving laws and conditions. Here’s what you’ll need to know about driving in New Zealand.